Monica Bates began her hospitality career in 1987 spending 7 years in Food & Beverage and 9 years in convention services. She then spent 3 years in sales before being promoted to Director of Catering & Convention Services for the Sheraton Music City Hotel in Nashville, TN. 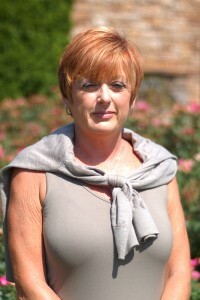 Her vast knowledge of hotel convention services and sales makes her an invaluable asset to her clients throughout the entire meeting and event planning process. Monica’s career accomplishments are paled only by the level of how those accomplishments were achieved. Her dedication and commitment to excellence have been repeatedly recognized by her peers through corporate and industry awards and accolades. Monica has got to be one of the most well rounded meeting professionals, her experience, knowledge, accolades, industry involvement and volunteering are unsurpassed in our industry.